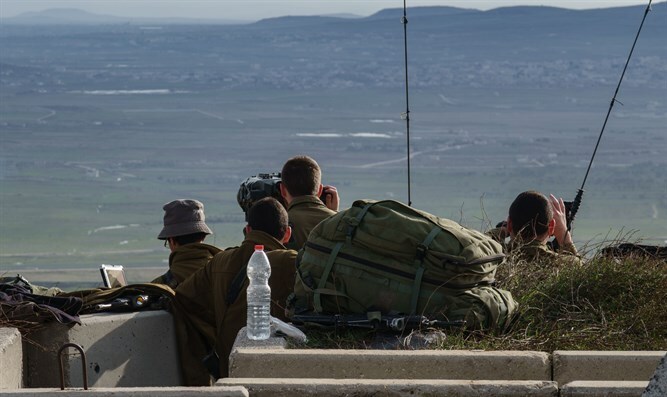 The U.S. strategy now is to undo the land corridor leading from the Iranian border to the Golan Heights and the Mediterranean Sea. "The war in Syria is winding down," claimed multiple media reports in January, even when Turkey’s hot-headed president Recep Tayyip Erdogan ordered his military to invade northern Syria. They continued to say the same as Islamist rebels in the Idlib Province targeted the Russian military and succeeded in shooting down a Russian SU-25 warplane. Some weeks later, it seems fair to say the war in Syria is escalating into what some fear could become a global conflict involving world powers and the Middle East’s most dangerous regimes, Islamist terror organizations and militias. Southern Syria has become the world's most dangerous war zone, even more dangerous than the Korean Peninsula, according to New York Times columnist Thomas Friedman. He was referring to the first direct confrontation between Israel and Iran last Saturday. The two countries came close to all-out war when an Iranian attack drone entered Israeli airspace near Bet Shean and the IAF responded by launching a series of devastating attacks on 12 military sites in Syria. Most of these sites are controlled by Iranian soldiers or members of the Quds Force of the Iranian Revolutionary Guards Corps led by general Qassem Soleimani. More than 50 percent of Syria's air defenses were destroyed by the IAF in these strikes according to observers, but it is highly doubtful the strikes will have the desired deterrent effect on Iran and its allies in the war against Israel. Just today Soleimani made it clear that he wouldn’t rest until the forces under his command 'wiped Israel off the face of the earth,' while the Middle East Media Research Institute published a translation of a Lebanese report indicating the Iranian missile threat to Israel is much bigger than previously thought. The Dahiyah news site in Lebanon, named after Hezbollah's stronghold in Beirut, reported on February 7 that Hezbollah and Iran have an arsenal of 70,000 long- and medium range missiles pointed at Israel and located in Syria. In a year the number will climb to 500,000 the article in Dahiyah claimed and they will be used all along the northern border of "occupied Palestine," according to that Lebanese outlet. Experts now warn an "Iranian winter" is going to hit Israel from the north fairly soon. They advise Israel to take more preemptive actions against the growing Iranian threat from Syria and Lebanon, where Iran has built two underground facilities which produce the Fateh 110 missile, a rocket with a range of 300 kilometers, surface to air missiles, anti-tank missiles as well as combat drones. Friedman, who thinks the Syrian conflict could be solved according to the model which ended the civil war in Lebanon after 15 years of fighting, thus cementing Iran's dominance over Syria, claims that the southern front in Syria is the most dangerous corner in the world. In fact, the whole of Syria has now become the world's most dangerous place in the world. Take for example, what happened last week when the headquarters of the U.S. backed Syrian Democratic Forces (SDF) in Deir Ez-Zour in eastern Syria came under attack by the Russian-Iranian-supported Syrian army, and the U.S. military in the Middle East responded by launching a devastating counter attack. More than 300 'Syrian' soldiers, among them dozens of Russian mercenaries, died in a spate of U.S. airstrikes which involved the use of F-15 and F-22 fighter jets as well as Apache helicopters, AC-130 gunships, UAV's and artillery fire. The Syrian army is now reportedly planning to launch another offensive against the SDF and the U.S. army in Deir Ez-Zur, this time together with Hezbollah and the 5th legion of Assad's military. It is selling the imminent attack as a move to clear the city of ISIS, which was defeated there at the end of last year. In reality the Iranians and their Syrian allies want to prevent the United States, via the SDF and Arab Sunni tribes in east Syria, from taking control over territory along the Iraqi border. The U.S. strategy here is to undo the establishment of a land corridor leading from the Iranian border in the Iraqi Nineveh Province to the Golan Heights and the Mediterranean Sea. Iran finished the establishment of this corridor, considered by Israel to be a huge threat to the country, last fall when the Syrian army conquered large parts of eastern Syria all the way to the Iraqi border. This happened while the Iranian-backed Hash al-Shaabi umbrella organization of Shiite militias in Iraq took over Kirkuk from the Kurdish Peshmerga militia and secured control over some of the crossings along the Iraqi-Syrian border. A new confrontation between the rival coalitions who once fought ISIS could now easily trigger a confrontation between Russia and the U.S. and mushroom into a much larger conflict. Then, there is Turkey which launched a second intervention in Syria at the end of January and is now threatening war against its NATO-ally the United States. The Erdogan regime is furious over Trump’s refusal to stop support for the Kurdish militia YPG, which the Turkish Islamist dictator sees as a branch of the outlawed Kurdish Workers Party in Turkey. Turkey is also angry with the U.S. over its vow to remain in the SDF-controlled city of Manbijm, which will be the next target in Turkey’s ill-named ‘Olive Branch’ offensive against the Syrian Kurds. Yildirim added that U.S. support for the Kurds was “incompatible with the NATO alliance” between the two countries. Erdogan himself went one step further and promised the Americans “an Ottoman slap in the face” if the US does not withdraw from Manbij and stop the aid to the Syrian Kurds. He was referring to a “potentially fatal martial arts technique” used in close combat by the Ottomans which was meant to demonstrate superiority over Westerners. "We will destroy every terrorist we have seen, starting with the ones standing by their side. Then they will understand that it is better for them to not to stand alongside the terrorists," the Turkish 'strong man' said during a parliament meeting in Ankara this week. The Turkish regime is definitely out of control. On Thursday it provoked the U.S. again by renaming the Avenue where the U.S. embassy is located as “Olive Branch Avenue,” while a leader of the Syrian Kurds warned Erdogan was a threat to the whole world. "The Erdoğan mentality is not only a threat to the Kurds and Rojava. Erdoğan is a threat to peace and security around the world,” Saleh Moslem the former leader of the Syrian Kurdish autonomous region said during a press conference in Brussels. In the meantime, the Assad regime is stepping up its efforts to literally liquidate the remaining hubs of opposition in Idlib and Eastern Ghouta near Damascus causing the death of at least 277 civilians between Feb.4 and Feb. 9 while trapping more than 400,000 in Eastern Ghouta alone. Staffan de Mistura, the UN envoy to Syria, said this week that the number of civilian casualties in the first week of February exceeded 1,000 while adding that the situation was the most “violent and worrying and dangerous a moment as any that I have seen in my time of tenure so far." This is the situation in what Associated Press now calls a four-front war, one which has created unprecedented chaos.